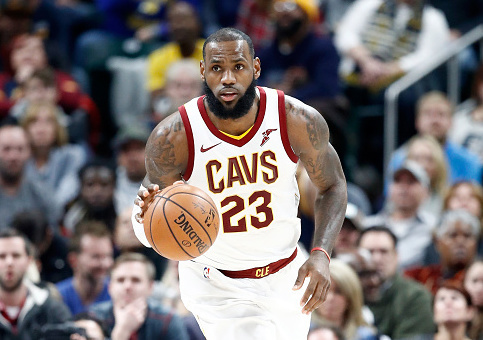 Cleveland Cavaliers superstar LeBron James said Tuesday neither his team nor the Golden State Warriors would visit the White House if they won the NBA Finals this season. "I know no matter who wins this series, no one wants the invite [to the White House] anyways," he said. "So, it won't be Golden State or Cleveland going." James' remark came in response to President Donald Trump's decision to disinvite the Super Bowl champion Philadelphia Eagles from a celebration of their title at the White House. The White House stated, "They disagree with their President because he insists that they proudly stand for the National Anthem," although no players on the team kneeled during the national anthem last season. James called the decision by Trump "typical of him." Instead, the White House will host "A Celebration of America," with a ceremony that "will honor our great country, pay tribute to the heroes who fight to protect it, and loudly and proudly play the National Anthem." The NFL Network initially reported the Eagles planned to send a small contingent of players and officials for the celebration, since many of the players did not wish to go. Trump's feud with NFL players over some's decision to not stand for the national anthem as a form of protest became a cultural subplot of the 2017 season. Trump also disinvited the Warriors, who won last year's NBA championship, from the White House celebration in September when he saw star guard Stephen Curry say he would prefer not to attend. Told of James' remarks about neither team accepting an invitation this year, Curry said he agreed. Both James and Curry backed Hillary Clinton for the presidency when she ran against Trump in 2016. Their teams are facing each other in the NBA Finals for the fourth consecutive season, and Golden State holds a 2-0 advantage in the best-of-seven series. This entry was posted in Politics and tagged Donald Trump, National Anthem, Sports, White House. Bookmark the permalink.